Dear Dumb Diary - Book 7 - Never Underestimate Your Dumbness. 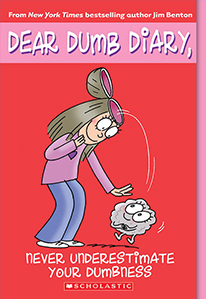 Home > Dear Dumb Diary > Dear Dumb Diary - Book 7 - Never Underestimate Your Dumbness. But of all the dumb things she's ever done, this has got to be the dumbest.